David Brown had a good eye for styling. Even his tractors were looking good. 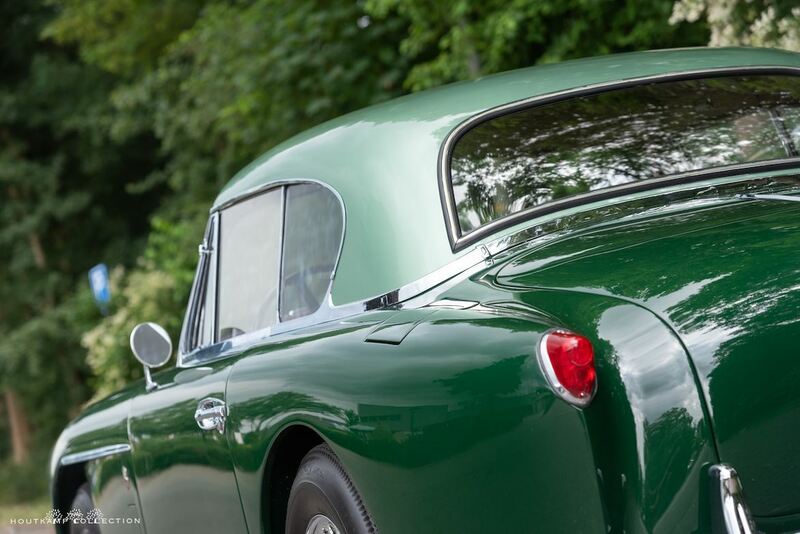 The DB2/4 Notchback which is a very rare appearance as only 34 examples have been produced is probably the most beautiful from the DB2 line. The shape is extremely elegant and because of the chrome accents on the roof for example very chique. 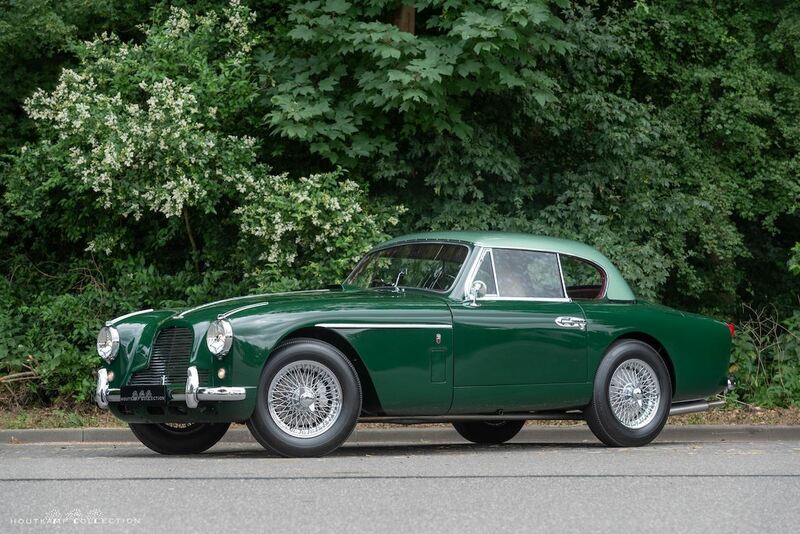 The DB2/4 Notchback was produced with the intention to supply sports car enthusiasts with a family. Some small modifications such as a decreased petrol tank and a change of the rear chassis liberated sufficient space within the existing design to fit two children on the rear seats. 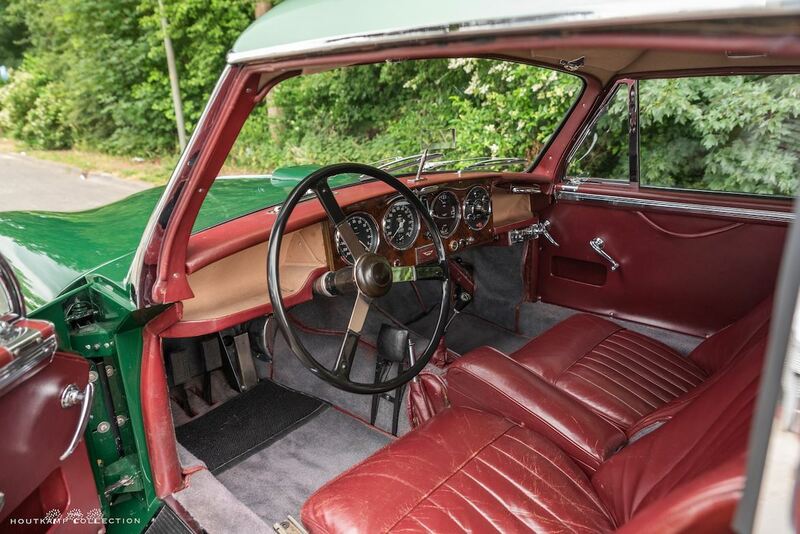 This specific DB2/4 MKII Notchback is a car in an outstanding condition and with a nice history. 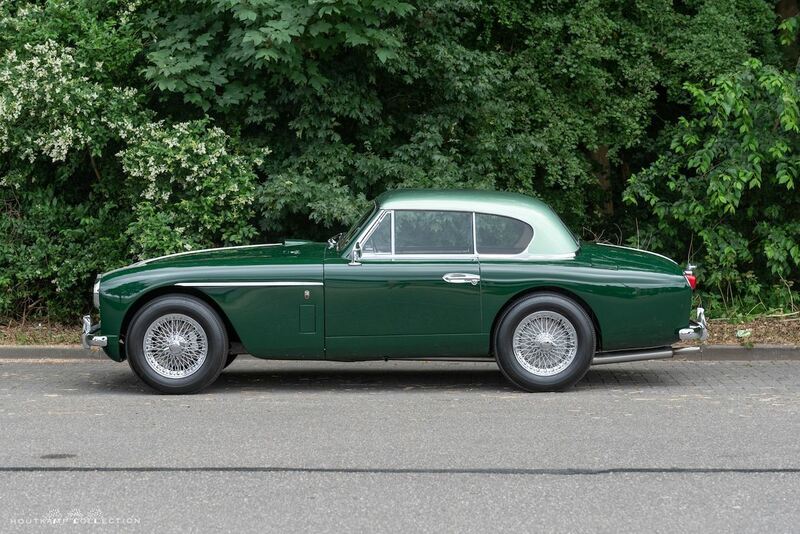 The former owner purchased the Aston Martin via auction house Bonhams in 2014 and brought the car to Aston Martin Works for an impressive restoration. A total of approximately £ 100.000,- GBP was spend between 2014 and 2016 to bring the car in it’s current wonderful condition. 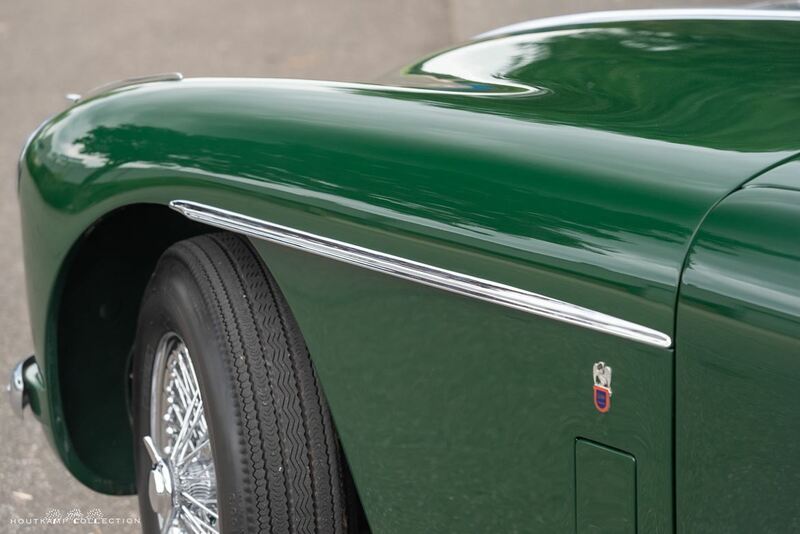 During the restoration the Aston has been resprayed in it’s original delivery color scheme being Sea Green (top) with Deep Carriage Green (lower body) with a red Connolly hide interior. 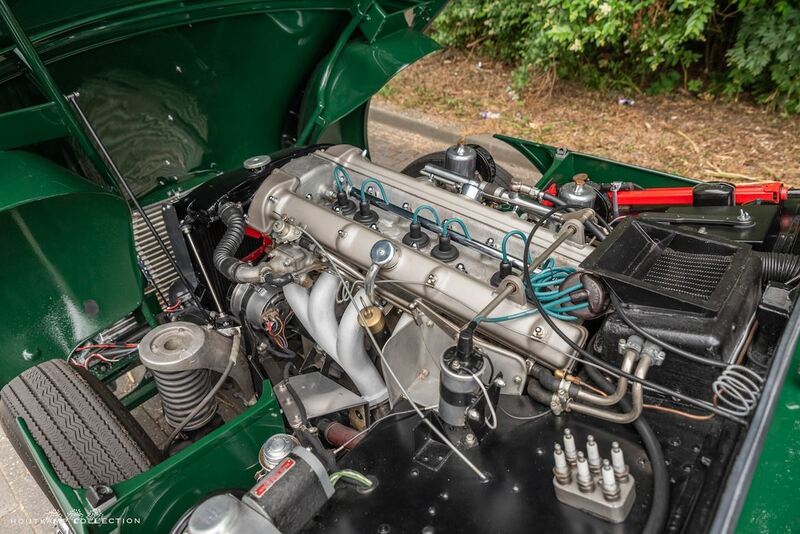 The Aston is fitted with a 3.7 litre DB4 engine and according to the Aston Martin register notes, this engine change has been done in period as it was according to their notes fitted at the Works after two engine failures. The current engine is stamped PP/370 suggesting that it is a pre-production unit. 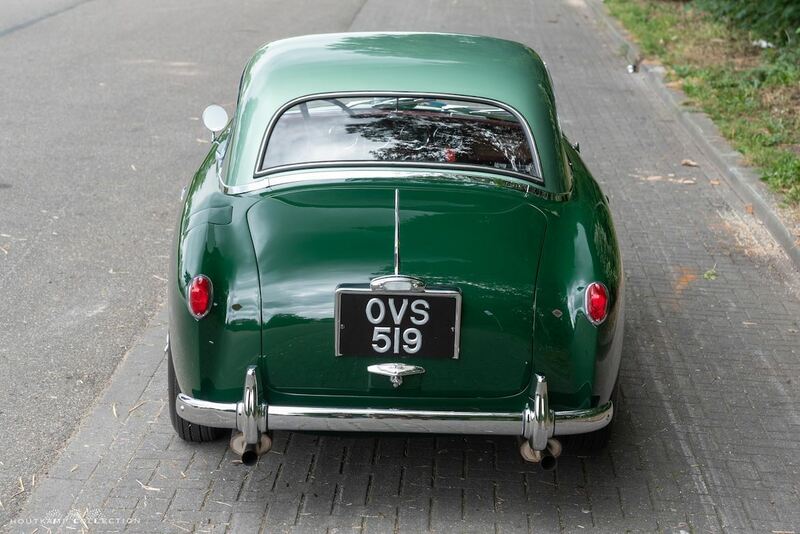 Unfortunately we don’t have yet evidence to establish the exact date of the engine change but it sounds very acceptable as the car was delivered in 1955. 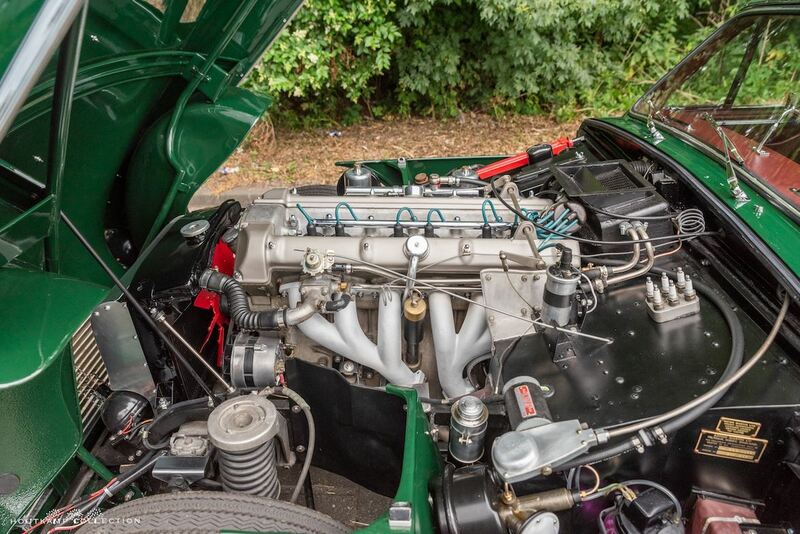 The first DB4 was introduced in 1959 so if the car had 2 engine changes and still problems, it’s very acceptable that it was decided to install a DB4 engine to get the customer happy again. 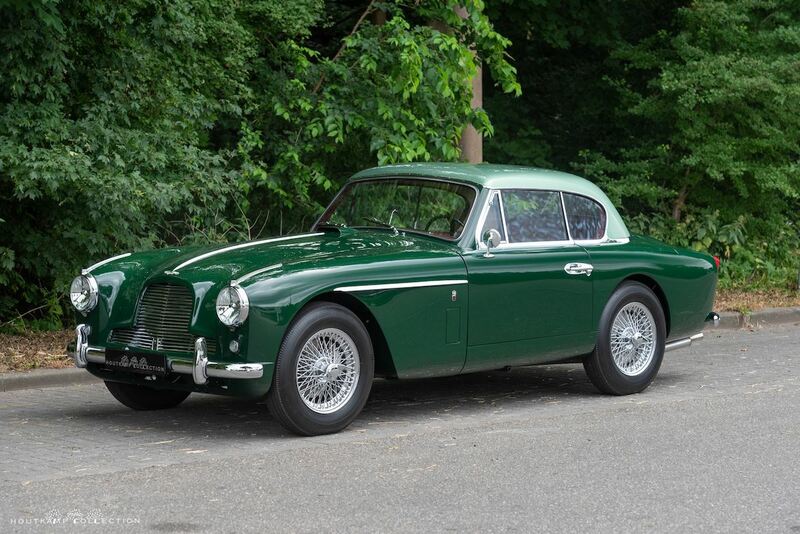 As we have had many DB2’s we know how these cars drive with their standard DB2 engine. The change of the engine changes the entire drive experience of the car. 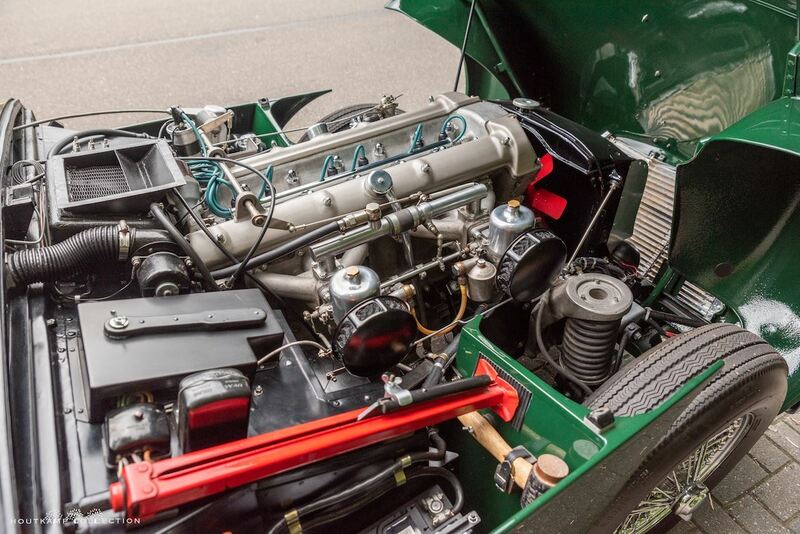 The power improvement is amazing and honestly the car is driving much better with the DB4 engine. More smooth and much more powerful. 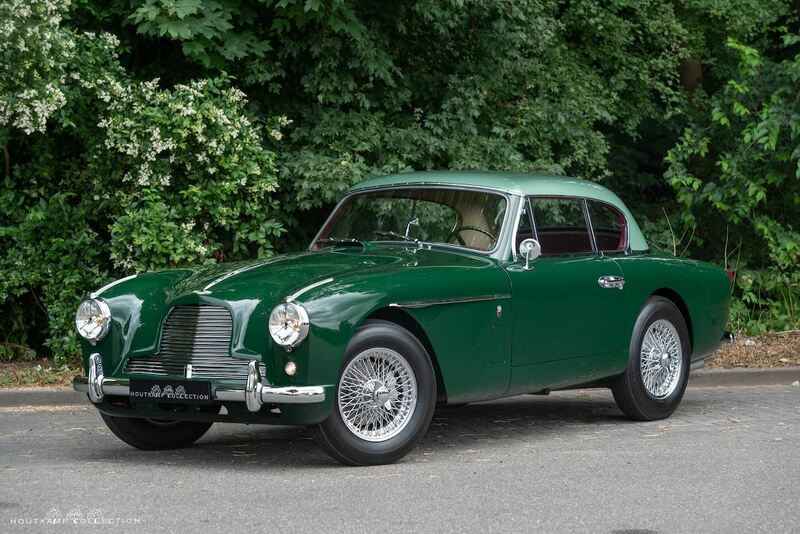 Off-course this Aston is not a standard DB2 but an Aston Martin works prepared example which results also in very well prepared example. 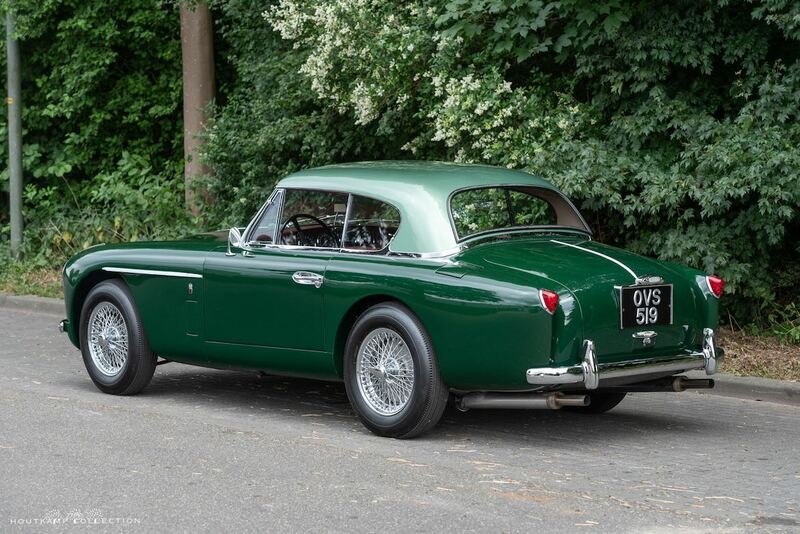 Currently, the Aston presents in an outstanding condition exterior wise. Due to the investment in the car at Aston Martin Works the car looks fabulous. The car has an excellent paint with a beautiful deep shine. The panel fit is just superb and probably nicer then new. The chrome is in excellent condition as well. All exterior emblems are still fitted on the car. 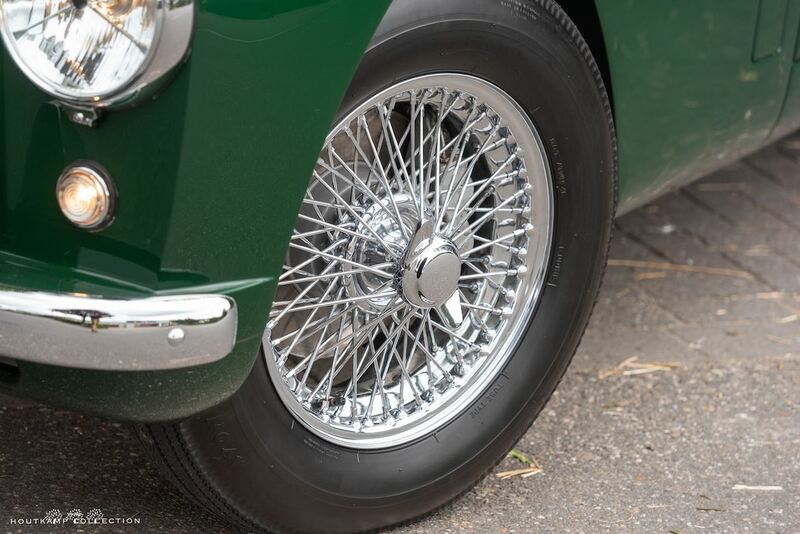 The chrome wired wheels are new so exterior wise this car is pristine and in a show condition. 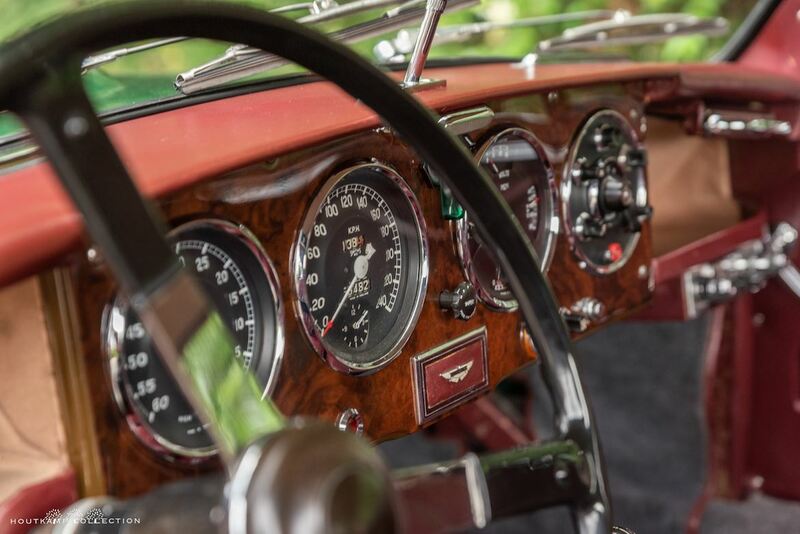 The interior of the Aston is just superb. 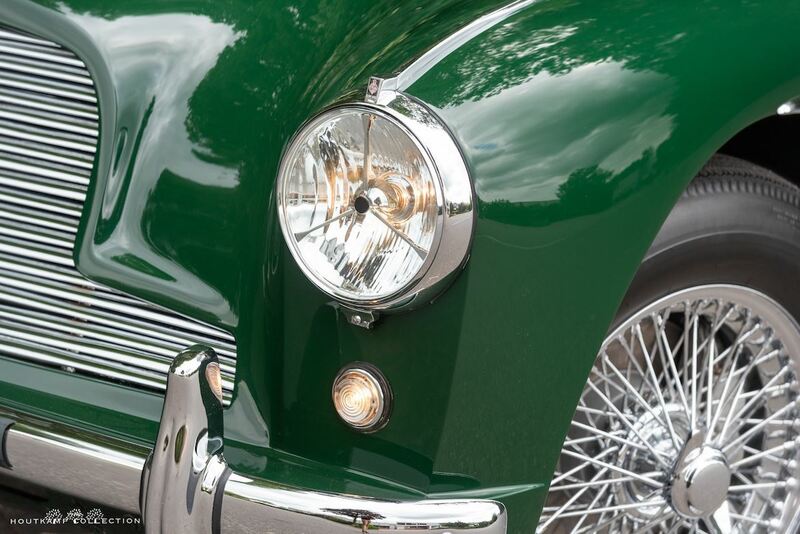 The former owner is a very serious Aston Martin collector with a lot of knowledge about the brand. He knows how to care for his cars and what to do with them. Money is not an issue so he could have easily decided to renew the entire interior. Luckily he didn’t as the Aston still carries it’s original leather on the seats. 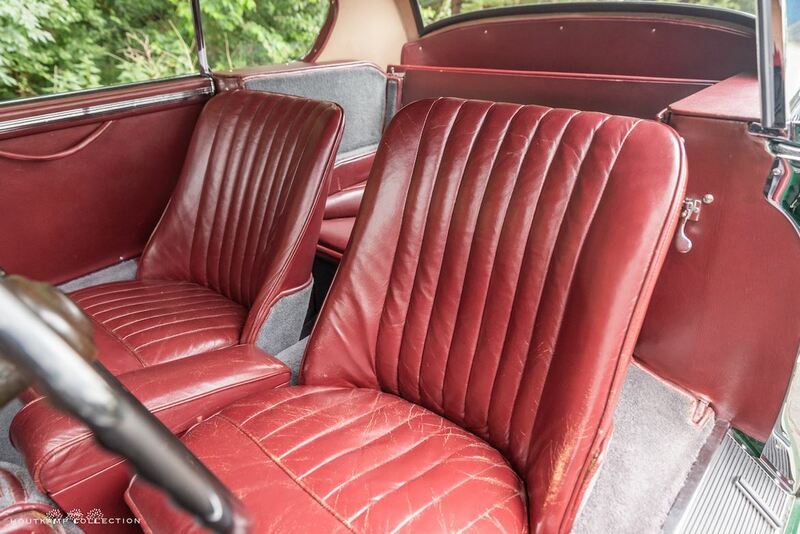 An absolute unique appearance as most cars have a renewed interior. The carpet has been renewed over the years and is in period correct material. The interior is in an absolute unique and beautiful condition. All meters are functioning properly and no attention is needed. Driving the Aston is fantastic. Due to the powerful engine the car gives a great sensation. 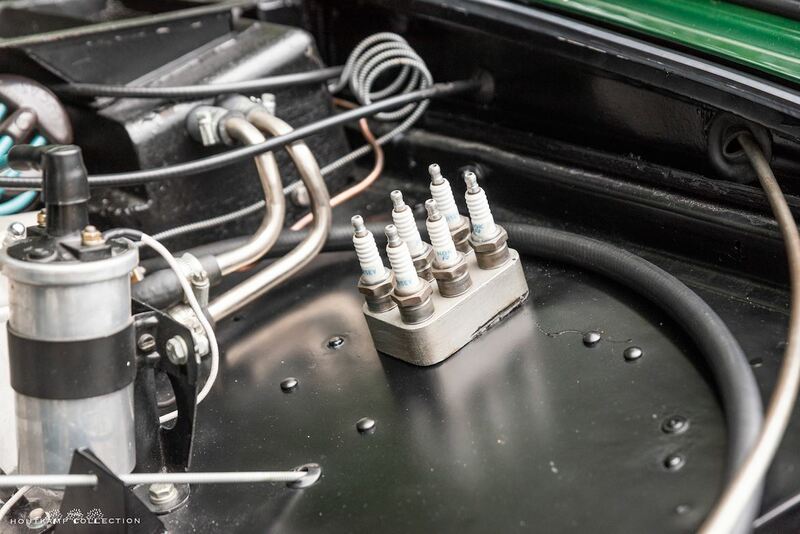 The engine starts with a push on the button and the car is very well tuned and set. 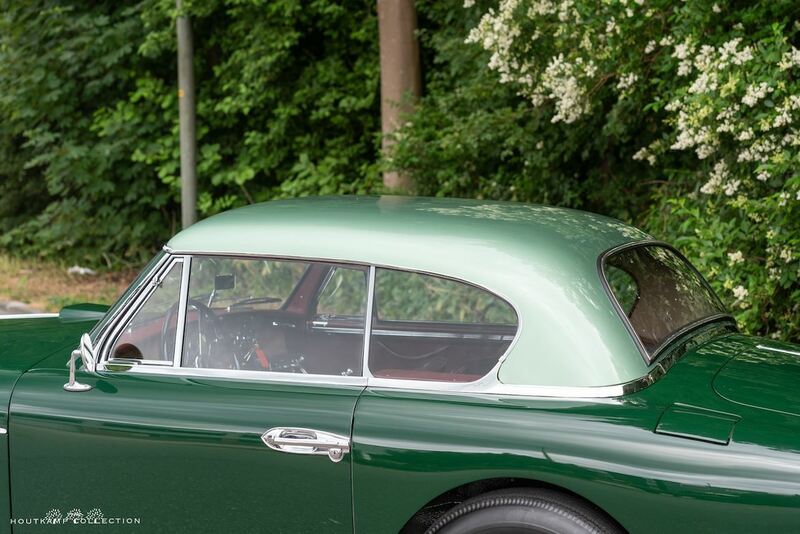 Brakes are working effectively, gearbox is shifting easy and the steering is rather straight for a DB2. 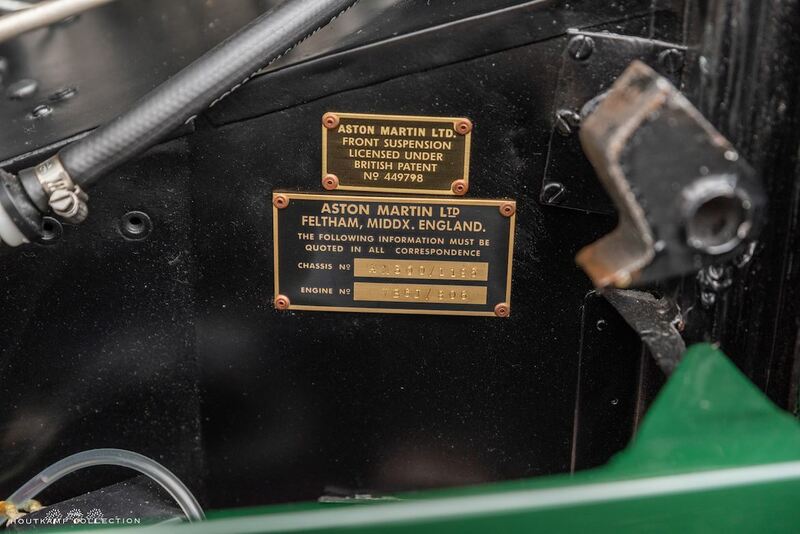 Altogether a very special car with an impressive history which has very recently been restored/prepared by Aston Martin Works and brought to a very high level.